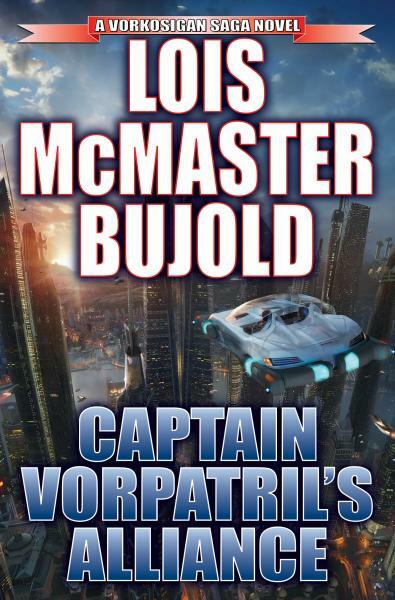 From early in her career, Bujold has excelled at the “rollicking adventure” – the kind of story where the laughs are frequent, the heroes get themselves into two new problems for every one they solve, and the delight is in seeing how they manage to talk (or bluff) their way out. There is such a book within CVA, and it is very, very good – hilarious and exciting. The problem is, it only occupies the first third of the novel. At that point, the first-act conflicts wrap up – something that also happened in the previous series entry, Cryoburn – and nothing really takes their place. However, whereas Cryoburn at least had a fascinating intellectual payoff after that, in the form of Bujold’s exploration of a society built on cryogenics, CVA does not. Enlivened by neither tension nor conflict, the middle of the book exemplifies what Margaret Atwood called the “eternal breakfast”. Events swing into motion again for the book’s final section, but – again like Cryoburn – without the zing of the opening. So if Bujold’s early novels were “rollicking adventures”, her later books were character dramas, and Cryoburn was an exercise in worldbuilding, what is CVA? The answer is fanservice, in the non-crass sense of the word. That middle section (no spoilers!) is a parade of cameos by the characters we’ve grown to know and love over the last 26 years, and the lack of tension makes sense if we look at the book a different way. Even more so than Cryoburn, CVA feels to me like the end of the characters’ arcs, and the end of the road for the series. As such, I don’t think the author intended CVA to push her characters’ (or her world’s) boundaries, to test their endurance and courage and will. I think she intended this as their curtain call – a gentle farewell to old friends. Seen in that light, I don’t mind CVA. Objectively, it’s a disappointment: it is not the book it could have been, and it is not the book for which I’d hoped. I certainly can’t recommend it to anyone other than my fellow Dendarii diehards. But for me, it worked as a last look back at the characters and setting that have given me so much fun over the years. Goodbye, Miles Vorkosigan and Ivan Vorpatril, and thanks for all the Memory.